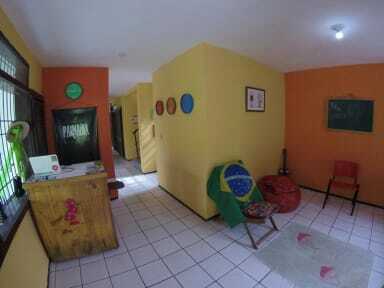 We are a hostel situated at Parnaiba, in Delta do Parnaiba in Piaui, we are a first hostel from Piaui Coast and the first from state of Piaui. We are two guys from university of tourism that like travel and that like know different people and different cultures. We are family friendly at hostel. We have a simple life and like adventures at Delta do Parnaiba. Come on to the Parnaiba Hostel and enjoy Parnaiba with us. We are Very happy for receive you here at out house. Thank's for choose us for stay. Welcome! We are at Parnaiba, the downtown is Bear and we have many stories next to here: food, acai, pizza, natural food, drugstores and many others places for enjoy local food. We are from 200 meters of the bus stop to the Beach and good gyms for dance. We have the perfect accommodation. All rooms at the hostel feature comfortable beds. We provide dormitory and private rooms, with bathroom. Check in from 14:00 to 17:00.